Well, that didn’t take long. Kevin Hart was just announced as next year’s Oscars host two days ago, and he’s already quit the job. His exit comes after a number of anti-gay Tweets from years ago resurfaced. Though he apologized to the LGTBQ community, he refused the Academy’s request to apologize for the Tweets themselves. Before leaving the high profile position, he posted a video telling his side of the situation. Kevin Hart expressed a number of anti-gay sentiments and what could be considered phobic terminology and slurs dating back to 2009. As the controversy mounted earlier today, the comedian deleted the offensive Tweets. Hart sent out a new Tweet late Thursday night saying that he was officially withdrawing from his position as host of the 91st The Academy Awards. The comedian would later post a second tweet, once again apologizing, and stating his position. He did indicate that perhaps, in years to come, he could maybe become host once again, after this controversy blows over. Oscars host was something that Kevin Hart had aspired to, and it was a long time dream for the hugely popular comedy star. Hart is currently touring Sydney, Australia. Earlier on Thursday, he had posted a video on Instagram, explaining that he refused a demand from the Academy to apologize. According to Hart, they gave him the ultimatum to either apologize for his offending tweets, or step away from the Oscars hosting gig. He chose the later, but went onto to apologize in his own terms anyway. He says this. So far, The Academy has not yet responded to Kevin Hart’s ultimate decision to step down. This incident is very similar to what happened with Eddie Murphy and Brett Ratner back in 2011. Rather was set to produce the 84th Academy Awards, but when asked what his plans for the show were, he commented that, ‘Rehearsal is for f*gs.’ This came during a public Q&A while he was out promoting his latest movie Tower Heist. Bret Rather soon exited the show, and Eddie Murphy, who was mostly doing hosting duties because of Ratner’s involvement, also stepped away, showing solidarity. That year’s Oscars were hosted by Billy Crystal, who jumped in at the last minute to save the show. Donna Gigliotti is producing the Oscars this year, and now the pressure is on to find a new host. Hopefully someone who won’t offend. The show is marked for February 24 on ABC. Jimmy Kimmel has hosted the last two years in a row. The show is hoping to liven things up this year. And it’s unlikely they will go back to Kimmel as a last resort. There’s still time to fix the situation. About the whole controversy, Kevin Hart also had this to say, commenting on the state of social media and how it is affecting the state of the world. One of the tweets dating back to 2011, which many are pointing to as being one of the most offensive, said this, “Yo if my son comes home & try’s 2 play with my daughters doll house I’m going 2 break it over his head & say n my voice ‘stop that’s gay. '” There are a number of other poorly chosen tweets that have been collected in a video, despite Hart’s attempts to delete them all out of existence. 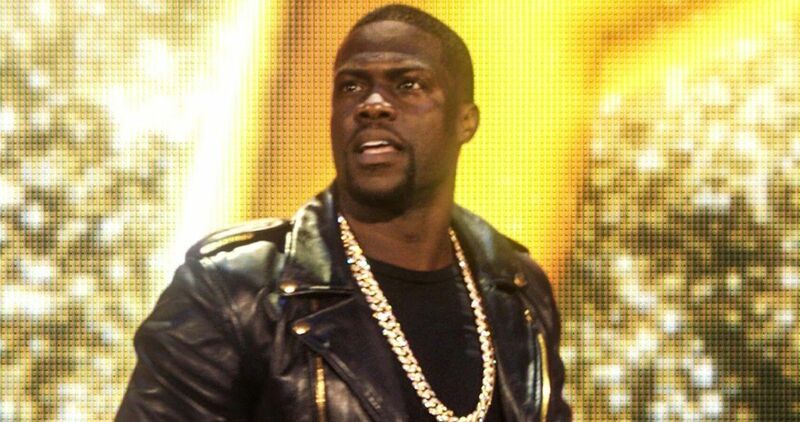 It is noted that GLAAD reached out to ABC, hoping to discuss Kevin Hart’s hurtful rhetoric. The Academy did not immediately respond back. Back when these Tweets were going out, Hart also made headlines for controversial jokes in his 2011 stand-up routine, where he accused his son of having a ‘gay moment’. Hart has since stated that he will never tell that joke on stage again, claiming that when he did that part of his routine, it was a less sensitive time. You can watch Kevin Hart’s Instagram video, where he explains why he decided to pass on the apology.